SolarWinds eliminates complexity from every IT process imaginable: network operations, resource consolidation, legacy product migration, continuous monitoring, cyber security, even compliance, so you can do more with less. Our products are easy to buy, install, use, scale, and maintain, yet still provide the power to resolve any IT management problem. Our government clients use SolarWinds IT solutions everywhere: the data center, the classroom, and in the field. U.S. Census Bureau, U.S. Department of Justice, Oak Ridge National Laboratory, Sandia National Laboratory, U.S. Department of Treasury, U.S. Department of Veterans Affairs, and more. UK National Health Service (NHS), UK Central Government, European Parliament, Health and Social Care Information Centre, Republic of Turkey Ministry of Health, NATO Support Agency, and more. The State of Texas, The City of Indianapolis, Harrison College, University of California, Berkeley, and more. We're dedicated to simplifying your acquisition process. SolarWinds IT management software is available on the GSA Schedule , DoD ESI, and numerous other contract vehicles. 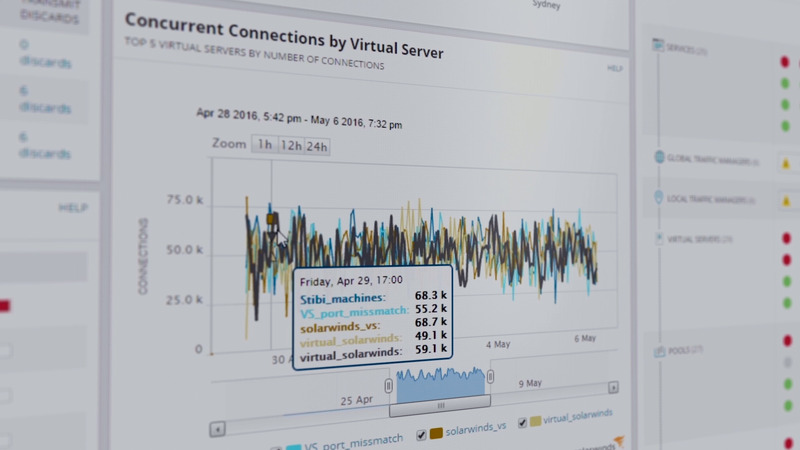 Not sure how SolarWinds can help with your IT management and monitoring needs? Certifications and approvals include: ARMY CoN, NAVY DADMS. Technical requirements include: FIPS Compatible, DISA STIGs, Common Criteria EAL 2+ Certification, Section 508 VPATs. Get out-of-the-box automated compliance assessments and reports for NIST FISMA and DISA STIGs in SolarWinds Network Configuration Manager.